Posted by group181 in Uncategorized with 0 comments. 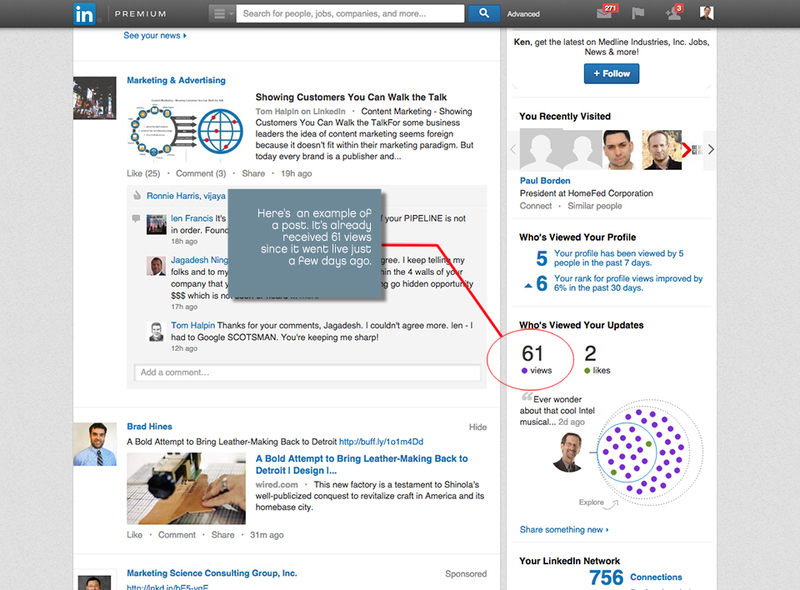 Have you wondered how you can utilize Linkedin even more? How about posts? When you post an interesting bit of news, your Linkedin family will see it. They will be gently reminded of you and what you offer. Some of your connections will even click on it. I usually start with a post on my blog. Then I add a visual. That’s important, since images score high for SEO and general human behavior. Then, I copy the link and create a posting on my Linkedin page. Linkedin will put the article title and the image into a nice little post on my page, which goes to all of my 750+ connections. Not bad for a few minutes of work. A sample of a Linkedin post with 61 views to date. Group 181.